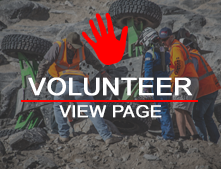 Richie Carter (41) of Simi Valley CA has been racing with Ultra4 since 2010 when he co-drove for GenRight\&#039;s Tony Pellegrino in the GenRight team\&#039;s first KOH, finishing 14th. Immediately thereafter, he and wife Kristen Carter (40) bought an Ultra4 car and they have been racing together ever since. Richie and Kristen successfully qualified for the 2011 KOH race in the LCQ and finished that year\&#039;s KOH in 34th. Other notable races: 2011 Silver State 300 (13th) and 2012 Vegas to Reno (11th). Both desert races earned them KOH spots for the following year. The team, named after their business, is known as Race Prep Racing and boasts an amazing volunteer pit crew, most of whom have been with them since the beginning. Race Prep Racing is also proud to have a solid list of sponsors supporting their efforts: Falken Tire, Warn, Raceline, RCV, Dynomax, Coast Motor Supply, Odyssey Battery and Alltech Motorsports. Finally, the team races for Gwen, Richie\&#039;s niece, who suffers from SMA (Spinal Muscle Atrophy), a degenerative neuromuscular disease that has taken her ability to speak, eat, breathe and move. Her foundation raises funds to fund a cure as well as to support those suffering from this debilitating disease. For information, please visit thegsf.org.